Sorry to inconvenience you having to scroll past a deal you weren’t interested in. Yet you decided to take the time to leave that helpful comment. It was still a £45 saving at the end of day. Yeah I think HUKD’s isn’t the right audience for these pricey Nike trainers. I’m not going to bother posting any more of them. 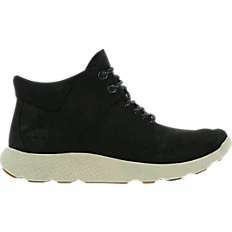 Timberland Flyroam Chukka - Men Shoes 24.99 + 5 delivery. Picked my pairs up from UPS near me and really happy with them. Box and shoes look new. They're nice and light actually, compared to the 6in beasts. Mine arrived today, packaged as I would expect it to be from the shop. Ordered a size 9 and my feet are quite wide and these are narrow towards the toes but they seem to be made from suede so they will stretch out a bit. Suede timberlands for 25, you cant really go wrong. I'm exactly the same size (9) and went for 8.5 and they are too small. They are too narrow for me but I haven't had a width issue in shoes. Oh well never mind. I am a size 9 in everything , got these in an 8.5 as suggested and also 9 were oos, the fit fine, dodgy del schedule, would not pay full price though. Good price for some decent Timberland boots with free delivery. Up to size 9.5. I'm looking for a size 9 uk and have a sixe 8.5 uk to trade as they don't fit me. Might do. Where are you from? Mine arrived this morning. For £34.99, it's a steal. Thanks OP. Anyone want to trade a size 9 for a size 8.5? Thanks ordered both the same for free delivery! Quick steal if you wanted it anyway:) RESTOCK! Just arrived today, nice, proper drifit t-shirt. If I was a fan, that wouldn't stop me, lol. Good price. Anyone help me out i'm after a basketball top but without a team on it any recomendations? It's crazy to think the Lakers drafted Lonzo considering how much better some other players turned out to be. And the crazier part is Philly managed to do even worse with their pick. Womens ultraboost in all black were £44.99 in trafford center. I asked staff member to check the stock and size and he checked thru scanner and told me its in stock and came back about 20 mins later from stockroom and told me its sold out. Had very suspicious attitude, he definitely changed his mind and bought himself. Thing is, I was told I can get the discount on anything in store (skeptical) , but now I'm not so sure, if you do manage to go to a Footlocker then best to speak to a manager, I will be going past tomorrow and I can clarify this issue if it helps? If that is the case then it wouldnt be possible to get the £59.99 ultraboosts for £52.49 as they were on sale? The survey I meant (which I didn't explain very well) was the receipt survey. I believe that's true, regarding the survey can't be used on sale items..
Got the all white versions. Quite hard to get on compared to other trainers due to that 'sock' thing. Footlocker sale has started - see link. Con probably. 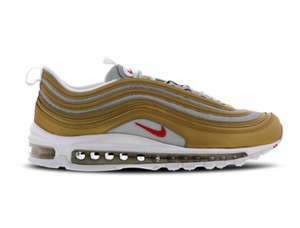 many air max lines gone up in price since xmas eve. Odd 1 or 2 gone slightly down.been checking on prices with my eagle eyes for last week or so. I suppose the one positive of the deal being voted cold is it looks festive . Can someone explain why cold though? If cheaper elsewhere tell me where and I’ll gladly delete ? This is a good price why is this cold ? I just found that thanks. It's cold because these are a chav shoe you fool. The first Foot Locker store appeared in 1974 and was originally a subsidiary arm of the Woolworth Company in the US. 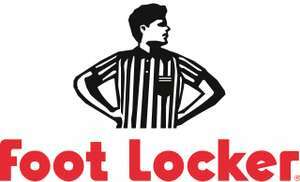 Due to declining sales in Woolworth's department stores, Foot Locker was made into its own company in 1988. Throughout the 1990s and 2000s, Foot Locker expanded through a series of mergers and acquisitions both in the US and beyond, opening the doors of its first UK store in 1990. Today, there are more than 2,500 Foot Locker stores in around 20 countries worldwide, with more than 60 of which being in the UK. This makes Foot Locker the world's largest sports footwear retailer. The company's success has been hugely aided by some memorable marketing campaigns, and also the dedication to the "Sneaker way of life". Foot Locker prides itself on being at the forefront of new and developing trends in sneakers and on being an expert in the field, as well as working with sneaker manufacturers and designers to create exclusive product lines for Foot Locker customers. This rapid growth and dedication to the product mean that Foot Locker will be hard to shift as the sneakers market leader for the foreseeable future. You can search for your nearest Foot Locker store, using the online store locator on their website. If there's no Foot Locker store in your area, or you prefer to do your shopping from the comfort of your own home, you can simply go to www.footlocker.co.uk. Here, you can browse the sneakers and accessories as well as make online purchases. Men – Further divided into subcategories of Shoes, Clothing, and Accessories. You can filter by Brand, Sale items, Size, Colour, and Prince. Women - Divided into the same categories as Men's products, and searchable with the same filters. Kids – Kids products are divided by age into categories of Infants, Pre-School, and Grade School. Filters are the same as in the other departments. Exclusive Items – Here, you can browse the sneakers and accessories that are made exclusively for customers of Foot Locker. You can find a wide range of great offers and discounts at footlocker.co.uk on their Sale page. There is often a variety of different products across the range here, and it's definitely worth checking up on every so often if you're on the lookout for a bargain. Also, signing up to the Foot Locker newsletter gives you access to a host of exclusive offers, as well as the latest sneaker news and trends. Foot Locker has also been a regular participant in the worldwide discount shopping extravaganza that is the weekend of Black Friday and Cyber Monday. Last year saw big discounts of a range of different sneakers and other products and this year looks to follow suit. If you can wait for the last weekend of November to roll on around, then this is usually a great time to pick up bargains. Fast checkout: Your addresses are saved for future purchases. Wishlist: You can add items to your wishlist that you want to buy later. Order status: Check order history, track a package and manage returns. Personal details: Manage your data. Foot Locker accepts various different types of payment including major credit and debit cards such as MasterCard, Visa, and Delta, as well as PayPal. Foot Locker offers UK customers a standard shipping option. It takes around 5 working days and costs £5. For orders of £60 or more, delivery is free. All deliveries are handled by a UPS courier service and take place between 8:00 and 18:00 on business days. Orders can be tracked using the link in your Shipping Confirmation e-mail, by using your Foot Locker account, or via the UPS Track and Trace service on their website. Foot Locker also delivers to some other EU countries for a cost of €7. To see which countries and get further information, see the delivery details on their website. If you are unhappy with the product(s) you’ve ordered at Foot Locker and want to return them, the company operates a free of charge returns policy, within a period of 28 calendar days after the date of delivery. You can either bring the product(s) in person to a Foot Locker store or arrange to have them returned using a UPS courier service. All products must be in their original condition, along with all the original tags and packaging. Log in to your Foot Locker account and find and select the order(s) you want to return. Mark the item(s) and select your reason for returning your order. Pack the product(s) securely in a box or bag, and seal the package well. Find the return shipping label that was sent along with your original order and attach it to the return package. Contact UPS on 03457 877877 to arrange a pick-up. When the UPS driver arrives, make sure that he or she signs the relevant part of your return label and keep it safe for your records. You may choose to receive a replacement, exchange or full refund. Please note that shipping costs will not be reimbursed for returns of part of a larger purchase. Only full returns are eligible for reimbursement of delivery costs. Foot Locker has a strong following on social media. Those following the company are amongst the first to hear about the latest sneaker news and trends, as well as having access to a host of exclusive offers and deals. If you're looking to save some cash at footlocker.co.uk, then keeping tabs on the company's various social media channels is a good way of doing so! You can also shop the latest sneakers and be in the know about the latest trends in streetwear with the Foot Locker app. You can download it for Apple´s mobile devices at the iTunes store and for Android devices in the Google Play store. By phone: 0800 3316062, free from landlines. Charges may apply from mobile phones. The Customer Care line is open Monday to Friday from 08:00 to 20:00 and Saturdays, Sundays and Bank Holidays from 09:00 to 17:00. You can also see Foot Locker's FAQs and get an overview of their customer care at a special section on their website. Don't spend more than you have to on your next pair of sneakers from footlocker.co.uk. Make the most of the big saving opportunities that are available on the dedicated Foot Locker page at HotUKDeals.